Perennial lawn grasses are bred for their ability to spread and fill in bare spots. It's this quality that makes for the thick, lush turf that everyone wants for their lawn. But that same characteristic can cause turf grasses to go where you don't want them—into gardens and planting beds, over sidewalks and edgings, and up through paving cracks. To understand how to keep lawn grass in its place, it's necessary to know a little about how these plants reproduce and spread. Turfgrasses, like all plants, can reproduce (propagate) in one of three ways. First, they can flower and produce seeds, which then fall into adjacent soil or are spread by wind or water to nearby areas, where they germinate and take root. Second, the plants can spread through roots, called rhizomes, that travel underground and sprout up in nearby areas. Some types of turfgrass spread primarily by this method—Kentucky bluegrass is one example. Finally, a grass plant can propagate and spread by surface runners, called stolons, that stretch out over the surface of the earth and send down roots when they find suitable soil. A plant that spreads with way is said to be stoloniferous. St. Augustine grass is one example. Some grass varieties, such as Bermudagrass and zoysia, use both stolons and rhizomes for propagation. Most lawns planted from seed contain a mixture of grass varieties. A lawn may be dominated by rhizome grasses or stolon-forming grasses, but more likely it will contain several grasses of both types. Close inspection of your lawn may reveal different colony areas where different types of grasses have found their ideal growing situation and have come to dominate specific sections of the lawn. The primary culprits when grasses overrun garden beds and other areas are those turfgrass varieties that spread through rhizomes, stolons, or both. Combating them can be an ongoing battle, but there are a few different techniques that you can try. Weed by hand. 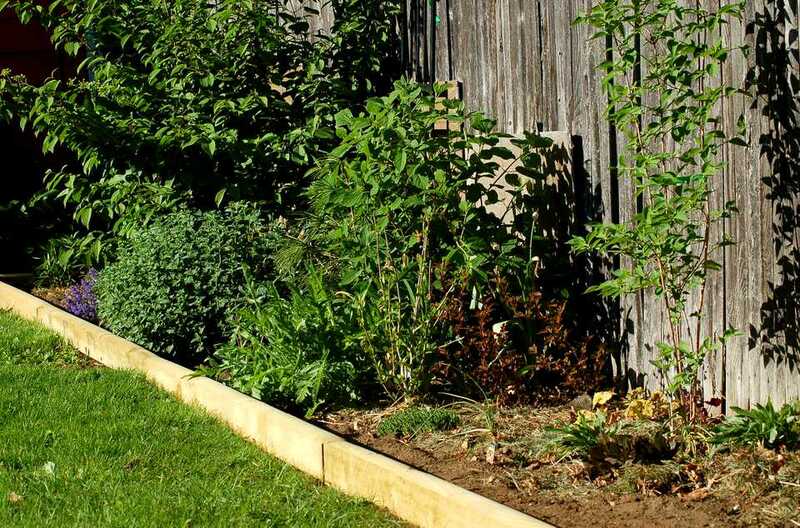 This may not be what you wanted to hear, but systematic and regular weeding by hand is one of the best and the most environmentally responsible ways to remove unwanted grasses from garden beds. This can be a bit laborious with grasses that spread by rhizomes, as it is necessary to dig out the spreading roots carefully to prevent new grasses from sprouting up almost immediately. Use a torch weedkiller. Like other plants, extreme heat will kill turfgrass plants. A convenient propane torch tool—a long wand and hose that attaches to a portable propane tank—can be used to kill grass plants with no harm to surrounding vegetation (provided you don't get too close). Use a broad-spectrum herbicide. Many so-called weed-killers are designed only to kill broadleaf weeds while leaving narrow-bladed plants such as grasses untouched. To kill grass plants, you'll need to use a broad-spectrum herbicide, such as a product containing glyphosate (Roundup, etc.). Be aware, though, that these herbicides will kill anything they touch, so spray them very carefully, applying them with spot treatment on a windless day. Reseed with bunchgrass. Bunchgrasses, such as perennial ryegrass and fine fescues, do not spread by rhizomes or stolons, so they tend to stay where you plant them. If spreading grasses truly annoy you, it's possible to kill them off and reseed with grass varieties that don't spread. This is a drastic measure, but you can also do it somewhat gradually by using bunchgrass seed whenever you are top-seeding the lawn. Over time, the bunchgrasses will begin to dominate the mixture of grass varieties in your lawn. Install deep and tall edgings. Lawn and garden edgings can be used to keep turfgrasses within their boundaries, but the best edgings must be quite deep and tall, and they must be made of impenetrable materials, such as aluminum or steel, to do their job effectively. Wood timbers eventually rot away, and bricks have cracks that can easily be penetrated by rhizomes. In most cases, solid bands of metal edging at least 1 foot deep are necessary to halt rhizomes. The perfect lawn edgings also need to be tall enough to block stolon-forming grasses from creeping over them. "Softscape": What Does the Word Mean? Can You Plant Flowers Under A Tree?